Happy New Year! Best wishes for achieving your fullest potential in 2019. If attitude determines altitude, your success this year will hinge on your mindset. Are you focusing on the right things? Expelling negative thoughts from your life? 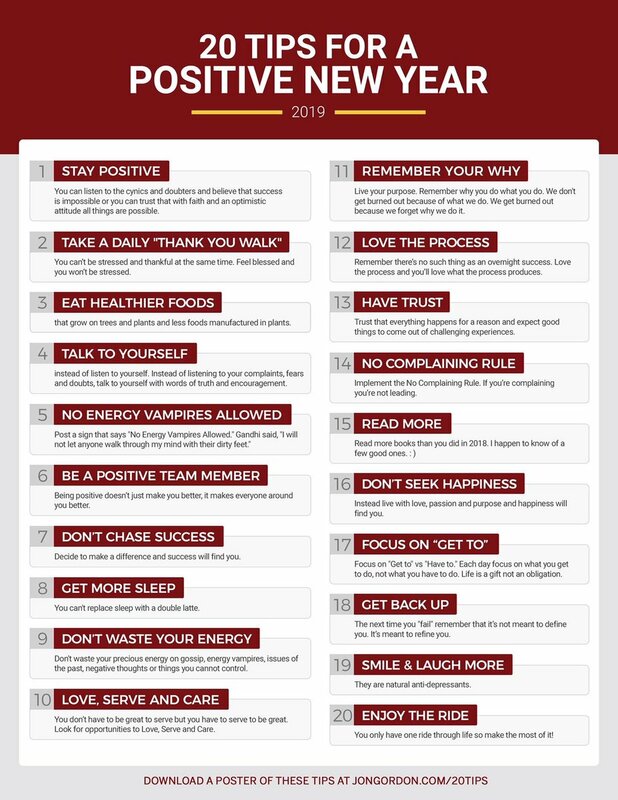 From author, speaker and leadership expert Jon Gordon, here are 20 tips for creating a more positive new year. I particularly like numbers 5, 6, 10, 15 and 16: Smile, Serve, Read, Love. 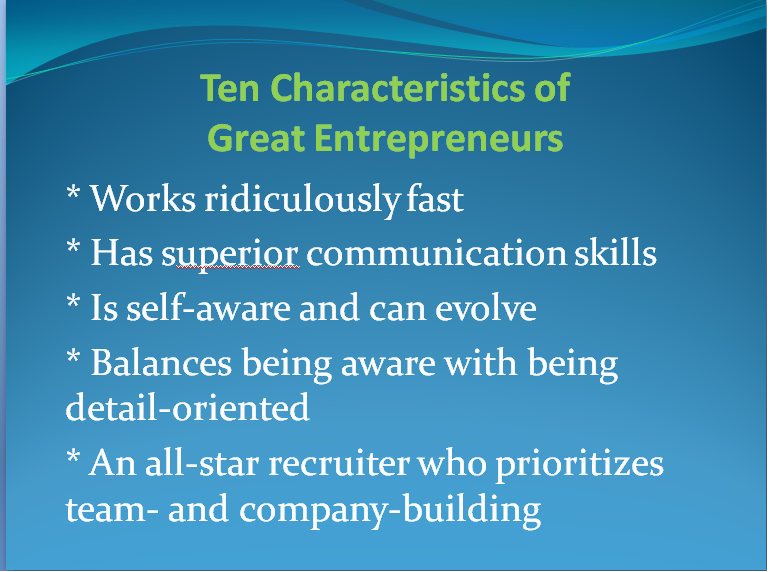 Lovingly borrowed from Howard Schultz and Dan Levitan of Maveron, for a recent presentation in Ottawa. This year's Skoll World Forum for social entrepreneurs took place in Oxford, UK, April 10-13. Sadly, it marked the conference’s first year without founder Jeff Skoll, the Canadian-born engineer who became the first president of eBay. Now virtually the patron saint of social entrepreneurs, Jeff stayed home in California to recover from back surgery. 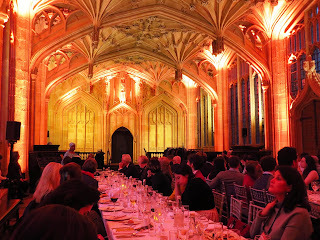 But 1300 people showed up to the conference, making it the largest Skoll World ever. 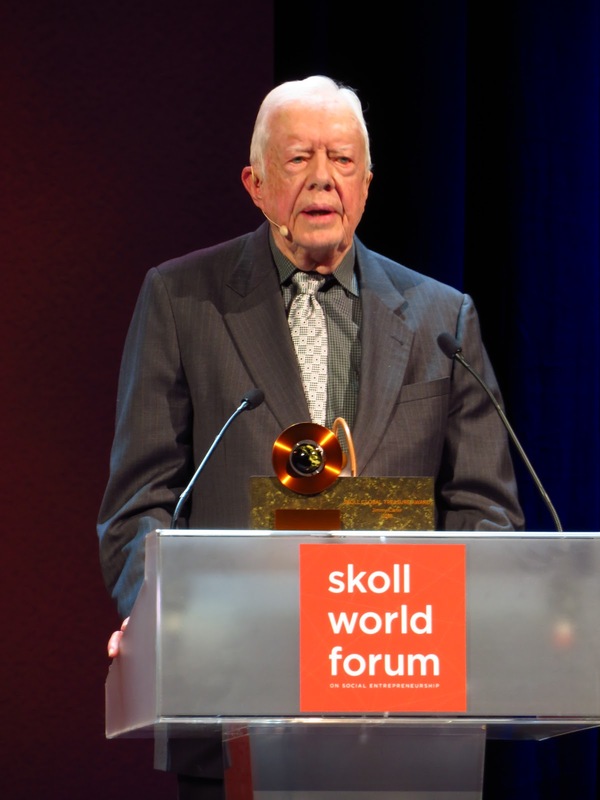 They presented a “Global Treasure” award to Jimmy Carter, and explored issues such as improving global healthcare, sustainable economic development, preserving indigenous cultures, enhancing agriculture in Africa, and fighting indentured slavery. After the 2017 conference, which was still reeling in shock from the election of Trump and his band of narcissistic nationalists, the world’s best social entrepreneurs proved this year that they're back in fighting form and ready to move forward again with their innovative, inspiring agendas for improving the human condition. 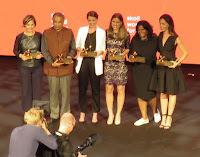 I wrote three stories on the Skoll conference. Here’s a quick summary. I looked at two ventures that this year received Skoll Awards, which are given annually to promising social ventures whose innovations have already had significant, proven impact on some of the world’s most pressing problems. Code for America trains tech-savvy “fellows” to improve the ways governments offer services, by embracing concepts such as design thinking and iterative, user-centered approaches. According to founder Jennifer Pahlka, CFA now has 70 local “brigades” whose work has helped more than 500,000 people. My third story was written for Corporate Knights magazine (the issue will be out in June, but it was posted online last week.) 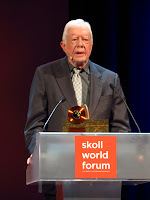 It’s a collection of highlights from the whole Skoll event – from Jimmy Carter’s acceptance speech to an Indian lawyer’s story of his journey out of slavery. Dragons' Den auditions continue across Canada this month. Why not step into the Den with your invention, product or business idea? I just received a request for audition advice from a startup entrepreneur I know in Western Canada. I'm excited that she has registered, and as you'll see, I think she has a good shot at getting on the show. And of getting an offer. I used to help the CBC Toronto crew with Dragons' Den auditions, years ago, when they were under-resourced. So I have some insight into what the producers (and the Dragons) are looking for. But I've been out of that loop for a few years now, so take the following for what it's worth. Here, with a few edits to retain confidentiality, are my comments to this entrepreneur. She asked what time she should show up: "You don't need to get there early; that's usually a busy time. I suggest you go 1-2 hours before they close. By that time the producers are tired, their expectations are low, and you will blow them away." She asked whether the fact that her product's sales have been slow will be a problem. Hell, no! "The fact that you are in stores and making sales is a big plus. You are way ahead of most people auditioning, because most of them don't have a product, and most of those who do are still looking for distribution. The audition judges (and the dragons) know sales success is as much a factor of promotion dollars as of product quality, so I doubt they would hold a slow start against you. "Remember: above all they are looking for a good, upbeat story. And you have it. "You saw personally a gap in a growing market. You looked for solutions and couldn't find one, so you designed one yourself and then hired a factory to produce them! Plus, you didn't want to risk your savings (the Dragons hate it when people do that - it's a sign of very bad judgment). So you looked for financial help. And after being turned down by a few sources, you found some additional capital (so there's a great lesson there about persistence). "One other thought. Think of a customer success story. It could be anything positive that a retailer or retail customer has said or done. Did a customer provide amazing feedback on the product, fit, convenience, etc? Did a retailer hunt you down and beg you to supply them? One or two quick, casual anecdotes like those will help position you as a winner." The annual Dragons' Den audition tour began in February and continues across Canada until April 7. Upcoming locations include BC, Alberta, Whitehorse, Newfoundland, Saskatchewan, Winnipeg, Quebec and Ontario. Click here for dates, locations, and other useful information. Go ahead. Own the Den! 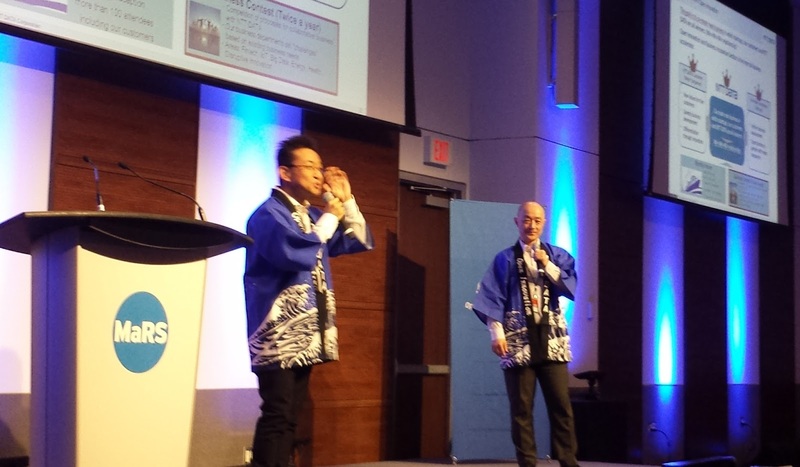 This week's FP Entrepreneur column came out of a recent event I attended: the Toronto round of a 15-city “Open Innovation” competition run by Japan’s NTT Data, a US$16-billion-a-year software giant looking for creative partners and technologies. Pitch competitions are the new Tupperware parties, so I attend a lot of them. 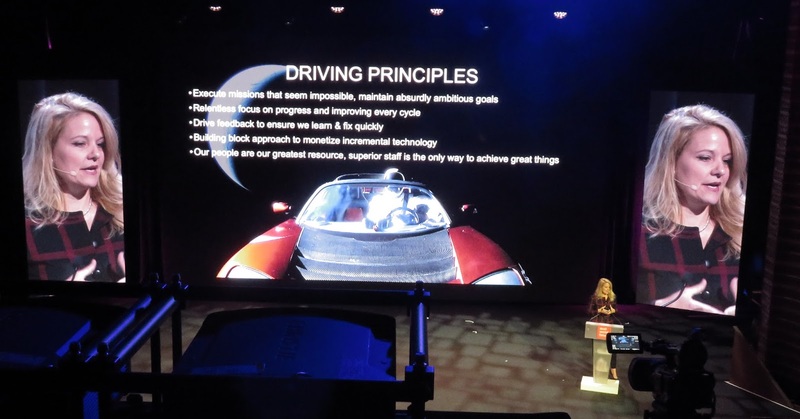 But it's hard to get a good story out of them, even when the companies pitching on-stage are outstanding (as they were at this tech-focused event). There's little journalistic fodder in these raw. 5-minute pitches, even though the companies may be interesting (and I will be writing about a few of them in the weeks to come). At the NTT Data event, however, the questions asked by the judges seemed newsworthy to me. 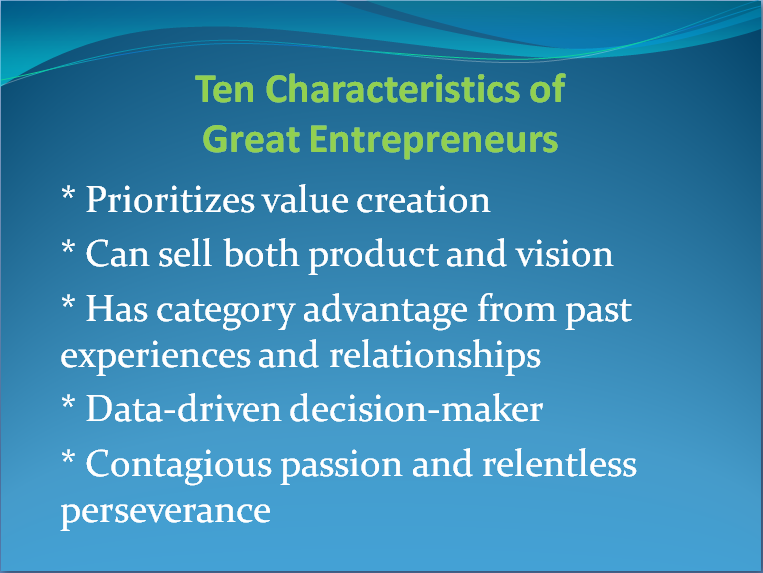 Every entrepreneur, every executive, every salesperson, is always pitching their business or their products and services to everybody they meet. Sadly, most people don't do a very good job of it. The judges at this event, however, had a rare knack for spotting the soft spots in people's presentations: especially for things they said that didn't quite make sense, and for the important things the presenters didn't say. I took careful note of the questions they asked, because these are the same questions people will ask themselves when they hear YOU pitch. Being polite, or shy, or time-pressed, the people you meet may never ask these questions out loud - but they're definitely thinking them. To improve your daily pitches and formal presentations, you need to understand these questions so you can answer them before they're even asked. In January we're all filled with good intentions for self-improvement: ending bad habits, losing weight, spending more time with family. Laudable as these goals are, they are often hard to achieve. And they rarely make a dent on how happy your New Year will really be. So here is my simple, DIY proposal for creating what my friend Jennifer Green @jade_consulting calls "an amazing 2018!" Just write out 3 goals for 2018. And commit to spending 15 minutes every day to move those goals forward. Three simple, meaningful goals. In a business sense, they may involve refining your strategy, engaging with new technology, exploring social media, or getting better at new product development. You can also include personal goals in your agenda for change: getting better at follow-ups, for instance, or praising employees, or abolishing procrastination. Business owners are lucky. Change is hard, but they don't have to do it alone. Pick a few plucky staff members who have spare capacity or want more involvement with the business. Deputize them to work with you (or by themselves, if that's easier) on one of the three new initiatives you've just prioritized. Give them your full support, a bit of a budget, and a deadline, and ask them to come up with a plan. Delegating is good for both the delagater and the delegatee. So share the challenge, the workload, and the opportunity to make a difference. Here in the bleak midwinter, you'll kindle hope and light in your business, and optimism for the future. Get out your daytimer and schedule in 15 minutes a day for moving three priorities forward. If you miss a day, spend 30 minutes the next day. Keep things moving! A Happy New Year? 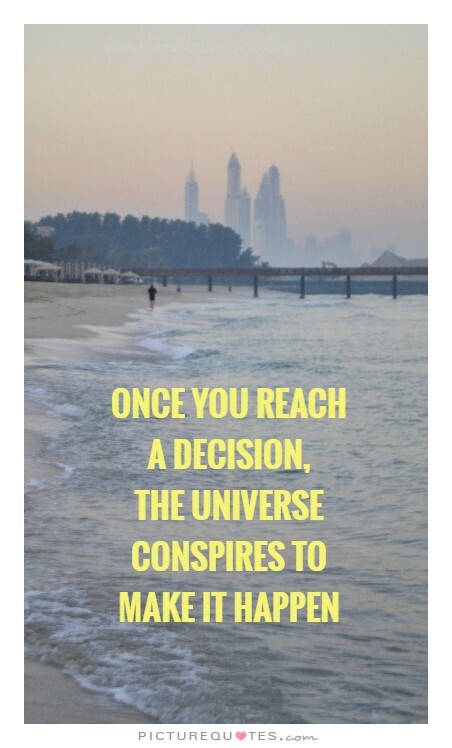 It's in your hands. Canadians are running one of the world's most ambitious experiments in learning how to help promising growth companies learn how to scale. "Scaling" is a fun term. Look it up in Google Image Search and you find picture after picture of dental hygienists poking at your teeth with sharp metal instruments. But in business, scaling is the new term for "managing growth." Scaling is about scraping away your bad habits to expose the shiny value proposition beneath - and then developing a dozen new organizational capabilities (strategic communications, delegation, culture development, recruitment, finance, sales management, etc.) to ensure that you know how to compete on a global scale. Essentially, scaling is the discipline all businesses must master if they hope to survive and grow. That's why I'm so interested in the Lazaridis Scale-Up Program now being workshopped by Wilfrid Laurier University’s Lazaridis Institute for the Management of Technology Enterprise. For the second year, they've selected 10 companies from across Canada to participate in a six-month crash course in scaling - as a way of learning how to teach scaling, and then how to scale it so more Canadian entrepreneurs can benefit from that education. Imagine the competitive advantage Canada could enjoy if its best and brightest companies understood the challenges and logistics of scaling. We could create all the "unicorns" we want, and finally build the 21st-century economy we've dreamed of. So here's the link to my first article about Cohort II of the Lazaridis Scale-Up Program. As you'll see, it all starts with better communication. Specifically, how can you engage stakeholders' heart, mind and gut - in 20 seconds? · - How do my brother and I convince our father that the family business should invest more in technology? · - How do we keep doubling sales given that it gets harder and harder as you grow? · - What tasks as CEO do I need to give up in order to grow the company faster? · - How can we get ahead without hiring more people? · - How can we increase profitability? 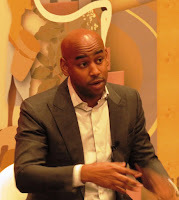 · - How can we motivate world-class talent to move to our city? · - How can we systematize hiring so it takes less time, while maintaining the rigour of our current process and preserving our culture? How do I personally change fast enough to keep up with my company’s success? At one point, I mentioned the importance of taking time to put your key processes into writing. Then I asked how many of the entrepreneurs at the table maintained an employee handbook. All seven said yes. 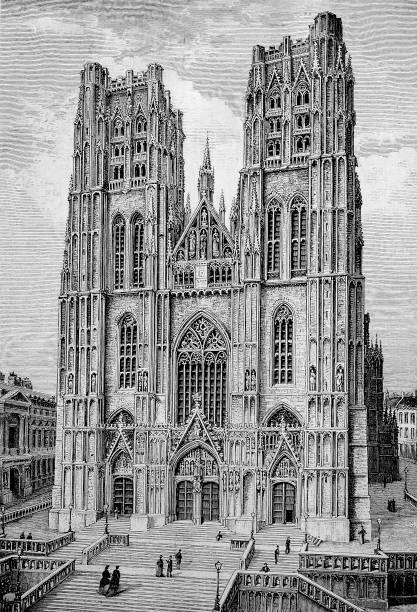 Astounding! At the end, I asked people to offer their best management tip, or a book that changed their life. The books: Delivering Happiness (by Zappos founder Tony Hsieh); The One-Minute Manager; Managing Up (get your employees to read it); and It’s Not What You Sell, It’s What You Stand For, by Roy Spence (no relation). Networking – or building better business relationships – is one of those essential skills that no one ever learns in school. Some folks are natural networkers – they meet people easily, gain trust quickly, and forge fast friendships. But most of us have to work at it. Why bother? Because business is always about people. You will only succeed in business if you know how to meet people, how to connect with them, and how to gain their ongoing friendship and support. This applies not just to customers, but to co-workers, suppliers, consultants and associates, and hundreds of potential prospects, mentors, advisors, partners and friends. We all know people who have sworn off networking, because they say it doesn't work. But that's usually because they don't know how to do it! Networking isn’t just about schmoozing people so they will buy from you. Business relationships pay off in many ways, many of them unknown and invisible to us now. When you neglect to turn an acquaintance into a trusted contact, who knows what future opportunities you are tossing away? Yesterday I had a coffee meeting with someone I just met the day before. We hit it off and now plan to do a very cool project together. Other people aren't strangers; they're allies you haven't met yet. And I would never have met him had I not made friends 10 years ago with yet another new acquaintance, who’s the one who invited me to yesterday’s event. Developing and building new relationships in business may not change your life right away, but will pay off continually over time. 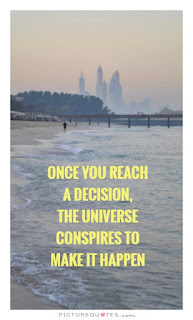 Think back to your recent business successes, large or small. Chances are they were initiated or abetted by people who recently passed the “acquaintance” level and became trusted colleagues. Business is all about adding value – and building your network is the best way to add value for your clients, employer, employees and other partners. Why do I say that most people aren't very good at “networking”? Because it’s so much more than sizing up strangers based on their potential to become customers. You need to see the bigger picture – and then you need a plan. The best way to succeed in any aspect of business is to develop a strategy and follow it. But when it comes to networking, almost no one bothers to plan. Expecting people to come to you with great ideas or open wallets isn’t networking. It’s standing in a corner waiting for someone to talk to you. Today’s business leaders need a better vision of relationship-building. One rooted in the fact that business is a team sport. Each of us needs the most supportive team we can find. So networking is the process of putting together that team. And remember – you're just one player on the team. It’s not all about you. It’s about how you and your team-mates can help each other. Many people don't understand this. Even Dictionary.com defines networking as “cultivating people who can be helpful to one professionally.” That definition seems to assume that networking is selfish and narrow. It may sound appealing at first. But most adults have already learned that relationships based on grabbing sole advantage never last. No one wants to hang out with a bloodsucking vampire. And you may have noticed that the selfish quarterback gets sacked by the other team much more often than the quarterbacks who respect their teammates and share the credit. You want your teammates to have your back. So here’s the definition of networking that we use at Connectinc: Interacting and sharing with other people to develop lasting personal and business relationships of mutual benefit. True networking means thinking not just about how people can help you, but how you can help them. Everyone needs information, resources, feedback, contacts and encouragement. Each of us can help each other by sharing our own experiences, our solutions, our network. And we can create lasting value for others by maintaining active, long-term relationships. Make no mistake: networking is a powerful tool for personal advancement and profit. But a network exists for every member’s benefit – not just your own. Create value for others, and you’ll be planting seeds that will bloom and grow throughout your long and successful career. Want more? Rick Spence and Barbara Katz are holding a free webinar on Tues. Sept. 26, at 1 pm and 7 pm EDT. We’ll share our seven best networking tips and take ALL your questions on relationship building, improving your confidence, mastering small talk, understanding "opening lines", and much more - including the best ways to follow up. For more information, click HERE for 1 pm. Or click HERE for 7 pm.